This week’s guest is an author whose foray into the paranormal, The Haunting of Highdown Hall, has been a runaway success. Book 2 in the Psychic Surveys series, Rise to Me, is published today by Crooked Cat Publishing. Thanks for joining me on the chaise longue, Shani. Let’s kick off. Vanessa: Your first name is Shani, pronounced Shay-nee. Where does the name originate? Shani: There is controversy galore over my name! My Mum insists it’s Indian and means ‘precious jewel’ – I’ve got five older brothers and she couldn’t believe her luck when a girl came along! Mum lived in India until she was eight and we have Anglo-Indian heritage. My Indian cousins, however, insist it does not mean ‘precious jewel’ and is instead is Sanskrit for the Lord of Saturday. My auntie on the other hand denounced it as ‘trumped up rubbish’ – thanks for that, auntie, ha ha! To add further insult to injury, my dad spelt it one way, my mum another – each refusing to bow down to the other. There’s a good argument for being called Jane or Susan, I can tell you! You appear to have lived all your life in or around Brighton. Can you imagine ever living anywhere else and if so where? I was indeed born and bred in the hallowed city of Brighton – there’s not many of us actually, it’s a city of incomers but when you do meet a fellow Brightonian it’s always made much of! I adore Brighton, it’s cosmopolitan atmosphere, it’s all-embracing too, and very open-minded. Where else would I like to live? San Francisco reminded me very much of Brighton, I could live there. The other dream is Scotland, the highlands to be precise, but I think I’d miss civilisation too much. Right now, I’ve got the best of both worlds in Brighton, the city on my doorstep and the country a hop, skip and a jump away. I don’t intend to leave any time soon but never say never! Your first two novels are romantic fiction. The next three are ghost stories. Why did you move into the paranormal genre and will you write more romantic fiction? 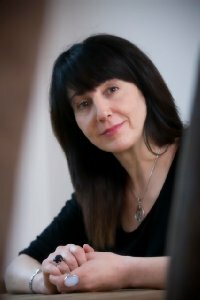 Romance and paranormal are my favourite genres – I don’t tend to read crime, historicals (aside from ‘Arthurian’ literature, which I had a fetish for during the 90s), fantasy or sci-fi. Those two are my mainstays. The Runaway Year was simply my first idea; I cut my teeth on romance I suppose – I learnt a lot from writing both that and its sequel, The Runaway Ex. They remain close to my heart but romance is not where I want to stay. The paranormal is my first love, always has been, always will be, and that’s what I’ll focus on from 2015 onwards. Although to be fair, Jessamine is a paranormal mystery/romance, so sometimes I might combine the two! What was the inspiration behind the Psychic Surveys series of books? How many more do you plan? Psychic Surveys sprang from an actual business idea. My husband is a Structural Engineer and when he surveys houses, people sometimes say to him they feel their house is ‘haunted’. There was one particular case, involving the spirit of a young boy, a case that’s documented in Psychic Surveys Book One, that we actually organised a psychic cleansing for – yes, I do know a few mediums! The cleansing was successful. I also accompanied the mediums on a second cleansing (again this case is in Psychic Surveys Book One) and it was fascinating to be a part of. A connection made and the spirit persuaded to move on. Again, the owner could sleep peacefully afterwards. Domestic spiritual cleansing – there’s a need for it but I decided to pursue the matter in literature instead and so the books were born. As for further books, Psychic Surveys Book Two: Rise to Me is out today and I’m currently working on a novella spin-off called Eve, which centres round a single case (the main books centre round a main case as well as several mini cases). Psychic Surveys Book Three will then be worked on. So yes, there’s plenty of scope for continuation in this series although I do aim to make each book very different. What also sets them apart I think, is they’re informative – Psychic Surveys Two in particular, draws upon real life Occultists (good and bad) and how their actions parallel the characters in the story. They’re also strictly paranormal, not horror! The Runaway series of books are written in American English. Why, and what challenges did that pose? They’re written in American English simply because The Runaways have an American publisher – Omnific Publishing who are part of Simon and Schuster. All spellings have had to be adapted (sometimes leading me to be accused of spelling mistakes by the Brits!) and certain sayings tinkered with so that the American’s can make sense of them (e.g. I used the term ‘wide boy’ in the original version of The Runaway Year and they were completely baffled, so had to change that to ‘hustler’). It’s not that challenging really, but it is interesting – it adds another dimension to it all. How has working as a freelance copywriter influenced or helped with your fiction? It’s taught me to be precise with writing, not to waste words and to get to the point. You’ve got to keep the reader interested. It’s also extended my vocabulary nicely! I was on holiday in America last year, in deepest, darkest Tennessee, seriously I was complaining all the way to the hotel as it was so off the beaten track. We checked in, went to our room and then I had to go back down to reception. The lady behind the desk – Shelby – looked all excited. I was wondering what the matter was with her when she told me she knew my name. It turns out she’s a voracious reader and had spotted me on Amazon. We chatted about books and stuff, signed up to each other’s Facebook pages and have kept in touch ever since. Primarily interested in the romances, she went on to read Highdown Hall, loved it and left a great review. I didn’t expect to be ‘recognised’ when I checked into our lonely hotel I can tell you! Vanessa: ah, the price of fame! White wine – all the way – a lovely Sancerre or Chardonnay! Vanessa: yes, I’m rather partial to Sancerre, too. Bio: Born and bred in the sunny seaside town of Brighton, one of the first literary conundrums Shani had to deal with was her own name – Shani can be pronounced in a variety of ways but in this instance it’s Shay-nee not Shar-ney or Shan-ni – although she does indeed know a Shanni – just to confuse matters further! Hobbies include reading and writing – so no surprises there. After graduating from Sussex University with a degree in English and American Literature, Shani became a freelance copywriter. Twenty years later, the day job includes crafting novels too. Copyright © Vanessa Couchman, Shani Struthers 2015. All rights reserved. 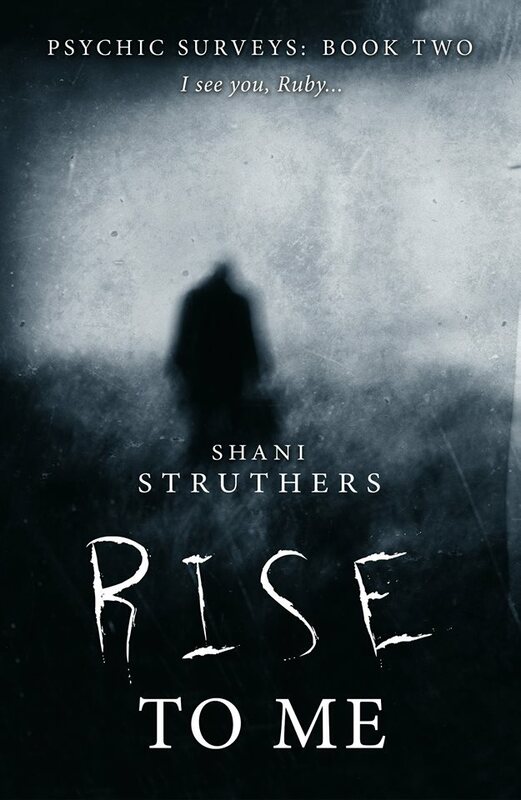 This entry was posted in Author interviews, Fiction, Novels and tagged author interview, ghost stories, Novel, paranormal fiction, Rise to Me, romantic fiction, Shani Struthers, The Haunting of Highdown Hall, The Runaway Ex, The Runaway Year by nessafrance. Bookmark the permalink. Always happy to recline on the Couchman chaise longue, Vanessa, thank you so much for hosting me.